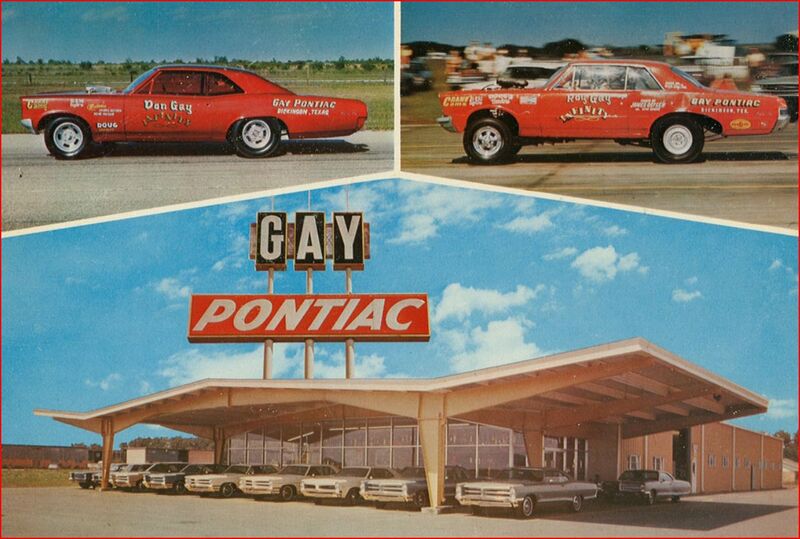 Of course, we can all chuckle now at this especially with the stunning coincidence of the Gay Pontiac carrying a rainbow paint scheme ten years before those colors would become associated with the LGBT Pride movement. 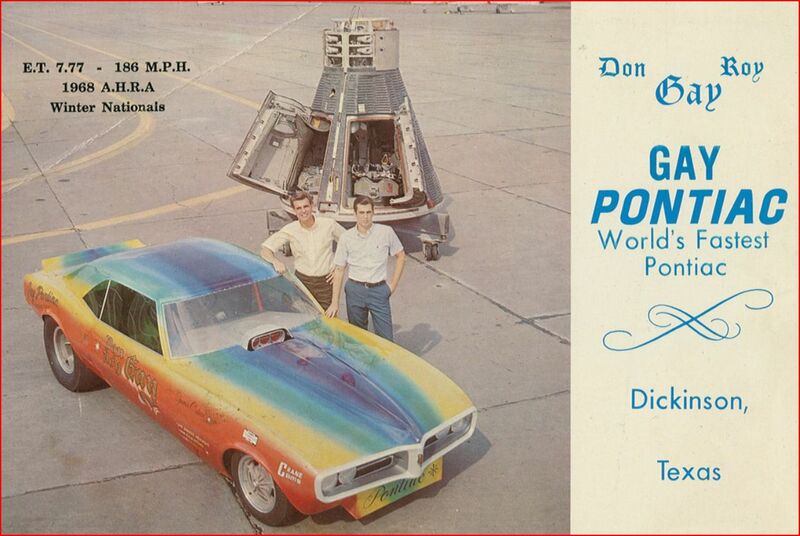 However, it should be known that both of the Gay brothers were accomplished drag racers (hey, no more snickering!). Roy preferred staying close to home near the greater Houston area while Don made it all the way to the National Hot Rod Association‘s top circuit and became a pioneer in the division now known as Funny Car. Don also played a big role along with the rest of his family in building Houston Raceway Park (now known as Royal Purple Raceway) where the top level of the NHRA will be racing this very weekend. The car dealership still thrives as one of the Houston area’s largest sellers but, with the demise of Pontiac, is now Gay Buick GMC. Posted in 1960s, Auto Racing, Retro/Vintage, SportsTagged 1968, Dickinson, Don Gay, TexasBookmark the permalink.